You can feel the excitement from miles away. With its kinetic, high-speed flashing lights, the 74,000 square-foot porte cochère at Ameristar Casino Resort Spa St. Charles hints – thrillingly – at the action inside. 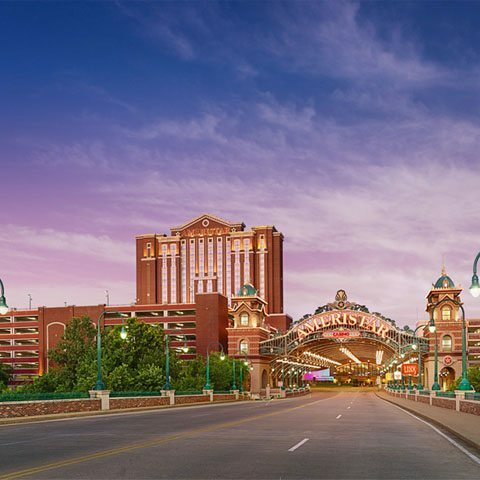 With its stunning stained-glass skylights, our 130,000-square foot casino has a Victorian look. But there’s nothing dated about what it contains: The latest, most popular slot and video poker machines, a wide variety of table games and one of the last live poker rooms in the market. And its adjoining streetscape is full of first-class restaurants, entertainment spots, and more. You can now bet up to $5,000 on select Blackjack, Craps and Roulette tables and up to $10,000 on Baccarat. Casino offers more than 2,000 state-of-the-art slot and video poker machines with denominations ranging from one cent to $100, plus a broad selection of the most popular new games. One of the largest selections of progressive slots in the Midwest.